We’ll Love Spending the Evening with YOU!! Southern Culture can accommodate a variety of corporate and social dining events including private dinners, wine tastings, cocktail receptions, business luncheons, wedding and graduation celebrations, and more. Our team will hand-craft the perfect menu and wine pairings with select offerings that can also be customized to suit your specific needs. 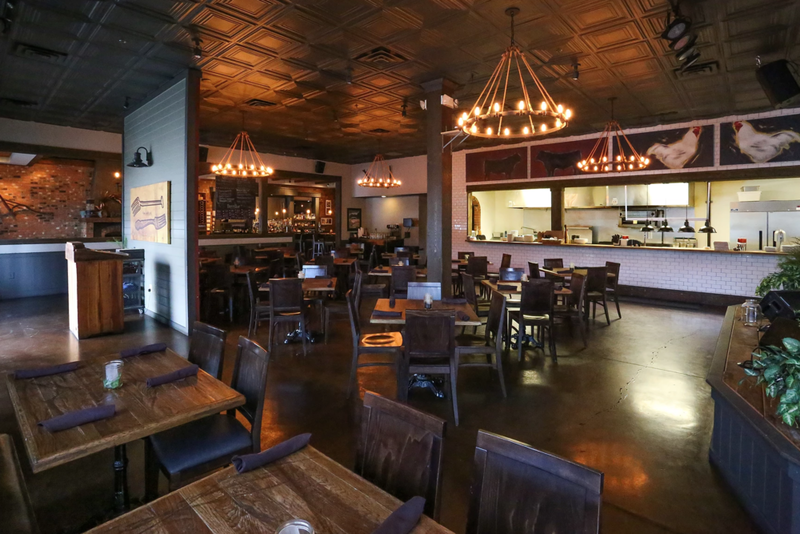 We offer a warm and inviting atmosphere with gracious service and cozy seating in a variety of settings. Let Southern Culture provide all the catering needs for your next luncheon, wedding, corporate event, and holiday party. We have the experience and expertise to plan and organize these once-in-a-lifetime celebrations. And whatever your needs, we have the ability to customize the event to meet them. Call us to discuss the specifics and approximate head count for your party. For More information about Special Events or booking a Private Function at Southern Culture, please call Jessica at 864-334-7807. You may also email her at Jessica@schgp.com. Our largest and main dinning space features a front row seat to the performance in the kitchen or the performance on the stage. With endless seat and table arrangements and AV/stage equipment our main dining area is perfect for corporate presentations, wedding rehersals and so much more. 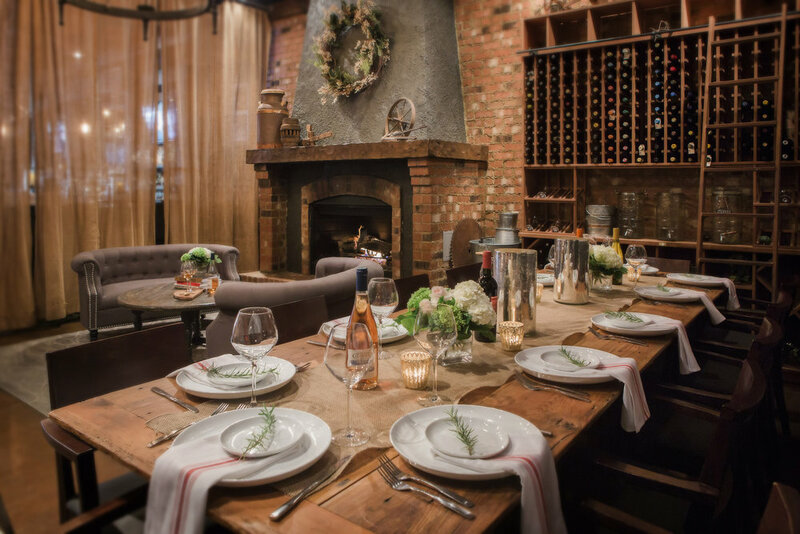 Our warmest and most popular gathering spot, this rustic, elegant and comfortable space features fireplaces, sofas and chandelier lighting both in the front and rear of the restaurant. The back room features a 14 seat antique family dinning table and warm burlap draw-curtain to create a perfect private space. Any and all of the wine bar can be rearranged and decorated to your specific desire and need. Regardless the season the outdoor patio can be converted to fit a variety of uses and temperatures. Boosting water falls and fire pits and private tables or long family style dinning the patio has become one of our most requested dinning venues. Warmly lite by fire, candle or overhead string lights the ambiance can be set to the mode and we welcome live music indoor or out. "Our family reunion in the private wine room with the fireplace and sofas was the perfect accent the wonderful food and attentive service. Plus the best part is it kept us all together and out of the kitchen. Can't wait till our next return."